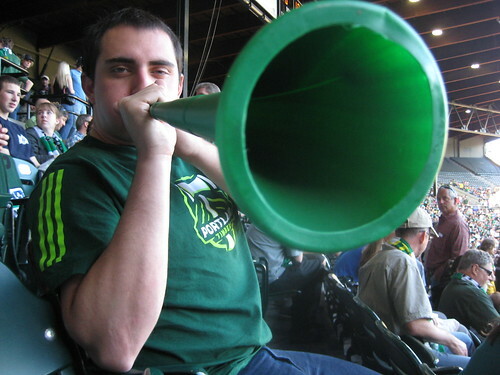 The Portland Timbers have announced that they have surpassed 10,000 season tickets sold for the 2011 MLS season and that they would cap that number at 12,000. Portland are confident they can sell the remaining season ticket packages and are hopeful for a string of sellouts during the Timbers’ inaugural MLS campaign. Season tickets for the Timers inaugural season in MLS includes 17 MLS games plus three additional friendlies. Dates and opponents for those three friendlies have not bene announced yet. The first Timbers home page will be on Thursday, April 14, when they host the Chicago Fire.